4 couples. 3 bedrooms. One hilarious night. Trevor and Susannah, with their marriage on the rocks, invade 3 bedrooms of their family and friends over the course of an evening, spreading chaos in their wake. Director Maria Aitken (The 39 Steps, Private Lives) returns for this rollicking comedy of marital misunderstandings. Approximate run time: 2 hours and 5 minutes, including one 10-minute intermission. "Purely entertaining!" "A treat!" "70's gold!" The critics love Bedroom Farce. Cuddle up to this hilarious romp before it must close Dec. 11. 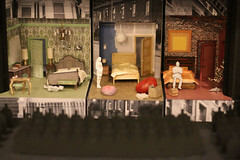 Bedroom Farce is "funny", "relatable", and "timely". Bostonians share their review of this wickedly funny Ayckbourn comedy! Director Maria Aitken and the cast of Bedroom Farce talk about putting together this wickedly funny romp. Meet the cast of the wickedly funny romp Bedroom Farce. Join us in the rehearsal hall for the first day of Bedroom Farce. Alan Ayckbourn’s Bedroom Farce seems to announce itself quite succinctly with its title. Yes, it’s a comedy, and yes, the action takes place entirely in three bedrooms. But don’t call it a farce, says Maria Aitken, who directs the production of the play by Huntington Theatre Company that begins performances at the BU Theatre on Friday. Enjoy a series of brief interviews with Bedroom Farce cast members Patricia Hodges (Delia), Mahira Kakkar (Jan), Malcolm Ingram (Ernest), and Karl Miller (Trevor). Watch an interview with Alan Ayckbourn at the National Theatre. Maria Aitken remembers her first play on a London stage with Ian McShane and how it shaped her career in The Telegraph. As long as human beings have had relationships, they have had a need to define them with the phrase “it’s complicated” — an expression that has taken on new life in the 21st century. The term is now everywhere, from a Facebook status to a Nancy Meyers movie title. But is the modern ubiquity of “it’s complicated” a sign that our relationships have become more messy – or have we just embraced the language to describe what was always there? 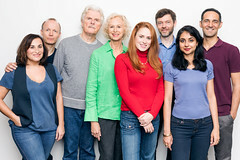 English playwright Alan Ayckbourn, known as “the Molière of the Middle Class,” has made a decades-long career out of examining the complex conflicts at the heart of relationships, and lays out the highs and lows of married life in his acclaimed early comedyBedroom Farce. 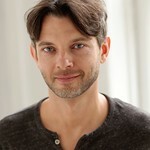 Alexander Dodge is an award -winning international set and costume designer for musicals, plays, opera, and dance. He has designed productions in New York, Chicago, Los Angeles, and London, as well as 14 productions for the Huntington Theatre Company. We asked Alexander to share his recollections about some of his most memorable designs for the Huntington’s stages. Playwright and director Alan Ayckbourn’s distinctive perspective as a dramatist combines an ambitious eye for structure, a sly ear for humor, and a desire to challenge himself. Born in 1939, Ayckbourn was the child of a novelist and a violinist. He began his theatrical career as an actor, and was hired by director Stephen Joseph to become a member of his company at the Scarborough Theatre. Early in 1975, I collaborated with Andrew Lloyd Webber on one of the great musical disasters of the decade, the earlier Mark 1 version of Jeeves. Recoiling from the scathing, occasional downright gleeful criticism we justly deserved, I consoled myself by setting about writing my obligatory yearly Scarborough summer play [where Ayckbourn served as artistic director in Scarborough, England]. In the time honored tradition, I announced the title long before a word was written. The play was thrust into the actors’ hands at the first read through, having been finished the night before and unread ‘til then by any of them. Read The Boston Globe's full rave review. Richard Hollis previously appeared in the Huntington's production of Bedroom Farce (2016). 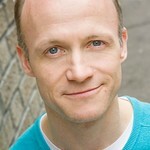 He was also previously seen on Broadway in The Curious Incident of the Dog in the Night-Time. Malcolm Ingram appeared in Sherlock's Last Case (2018) and Bedroom Farce (2016) at the Huntington. 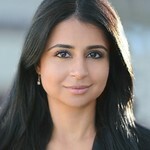 Mahira Kakkar has New York credits that include The Trial of an American President (Theatre Row). 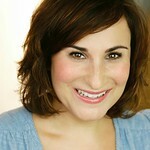 Emma Kaye made her US theatre debut with Bedroom Farce (2016) at the Huntington. Ms. Kaye was born and raised in London, England and is happy to now call the great city of New York home. Ms. Kaye first appeared as a featured leading lady with the UK’s award-winning theatre company, the National Youth Music Theatre (NYMT). Karl Miller has previously performed Off Broadway in The Liquid Plain (Signature Theatre), Marie Antoinette (Soho Rep), Completeness (Playwrights Horizons), and columbinus (New York Theatre Workshop). Nael Nacer appeared in Romeo and Juliet (2019); A Doll's House (2017); Bedroom Farce (2016) (IRNE Award); Come Back, Little Sheba (2015); Awake and Sing! (2014); The Seagull (2014); and Our Town (2013) (IRNE Award) at the Huntington. 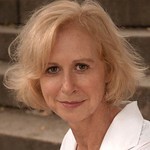 Katie Paxton previously appeared in Bedroom Farce at the Huntington. 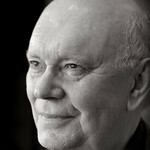 Alan Ayckbourn (playwright) has written 79 plays and his work has been translated into over 35 languages. His work is performed on stage and television throughout the world and he has won countless awards. His plays include Relatively Speaking, How the Other Half Loves, Absurd Person Singular, Bedroom Farce, A Chorus of Disapproval, andThe Norman Conquests. 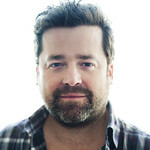 Alexander Dodge returns to the Huntington having previously designed the sets for Bad Dates (2018); Tartuffe (2018); Bedroom Farce (2016); Smart People (2014); Rapture, Blister, Burn (2013); Good People (2012); The Miracle at Naples (2009); Boleros for the Disenchanted (2008); Brendan (2007); and many more. Matthew Richards (Lighting Design) returns to the Huntington having previously designed Bedroom Farce, Tiger Style!, Good People, Third, and What the Butler Saw. JOIN US! Pick any 3 plays for $149 and save 40%!